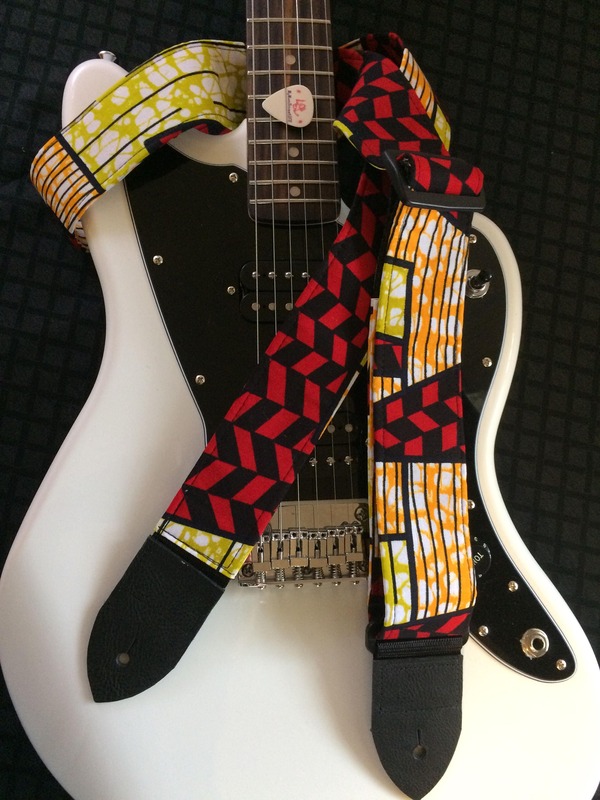 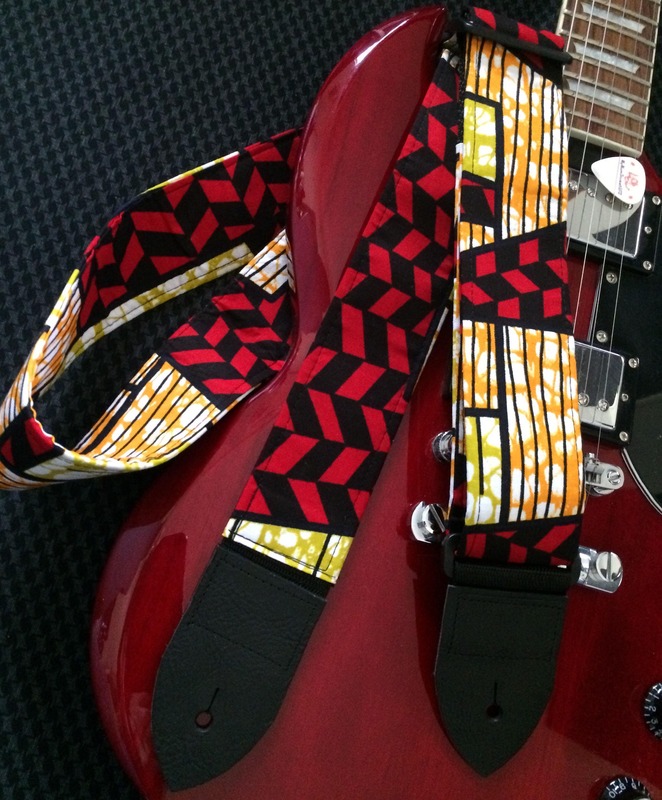 The fabric of this strap is an African wax block print. 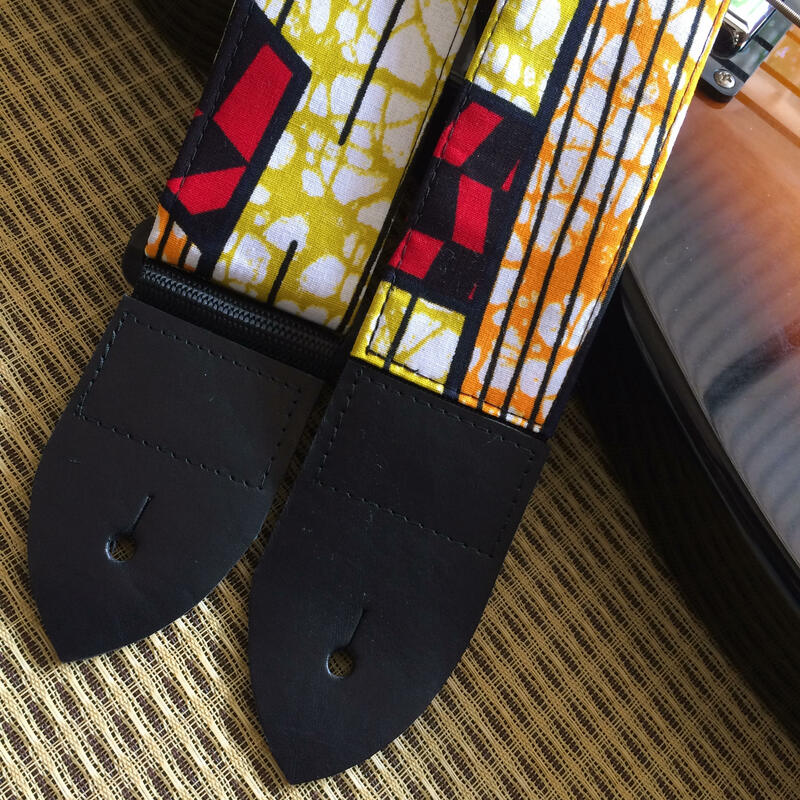 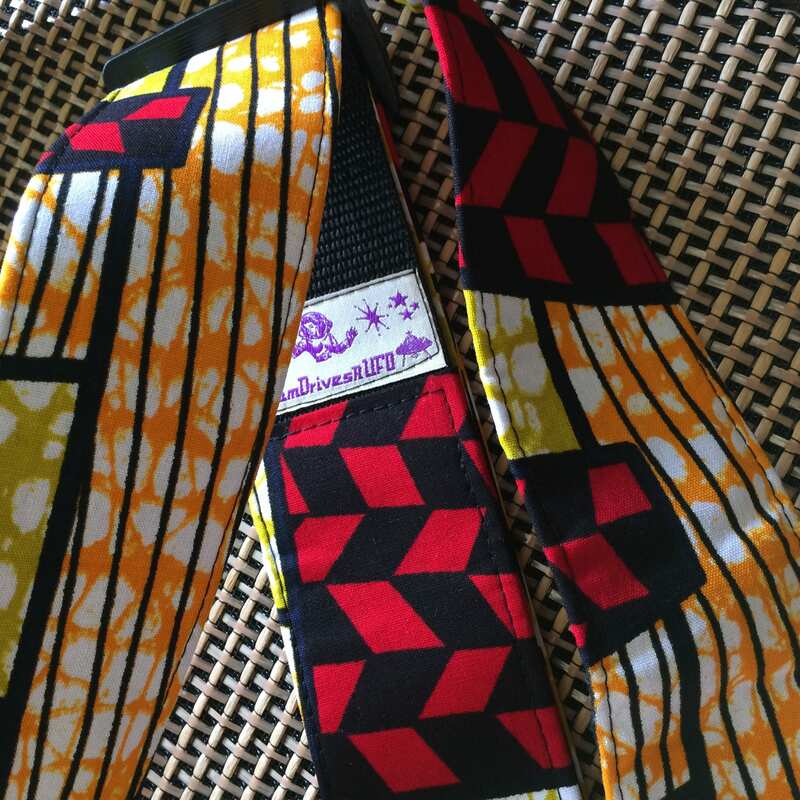 The colours are intense and vibrant and the pattern is graphically strong. 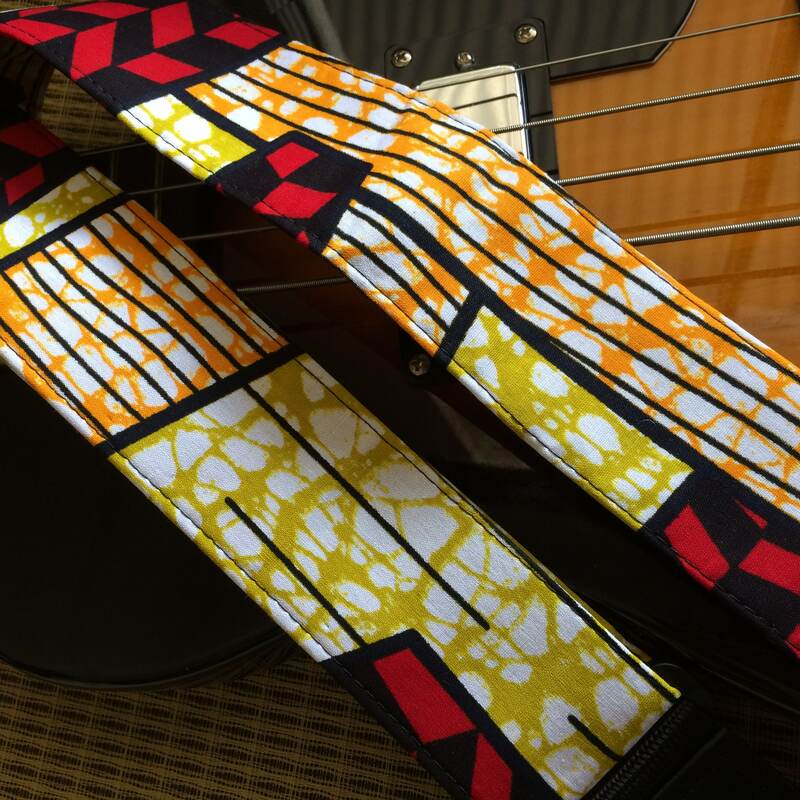 The main colours are red, yellow and lime green, with black patterning on a white background. 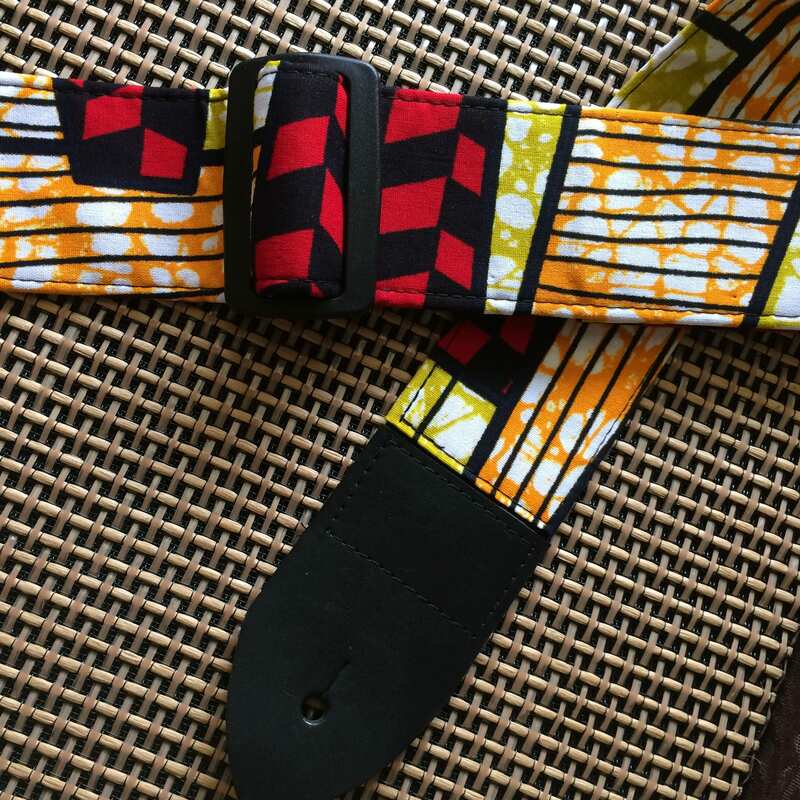 This fabric is a heavy-weight 100% cotton, which gives the strap a lot of stability to hold its shape as well as being comfortable to wear and stunning to look at. 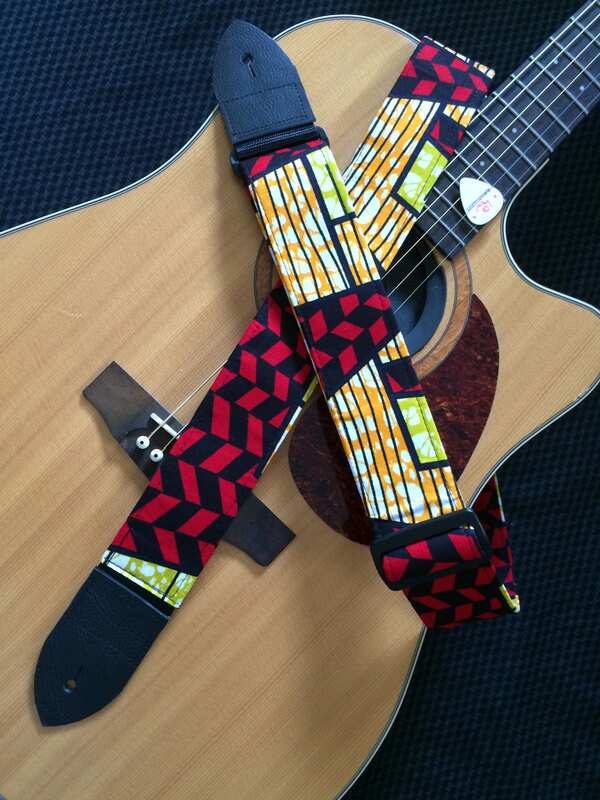 Such a nice guitar strap ! 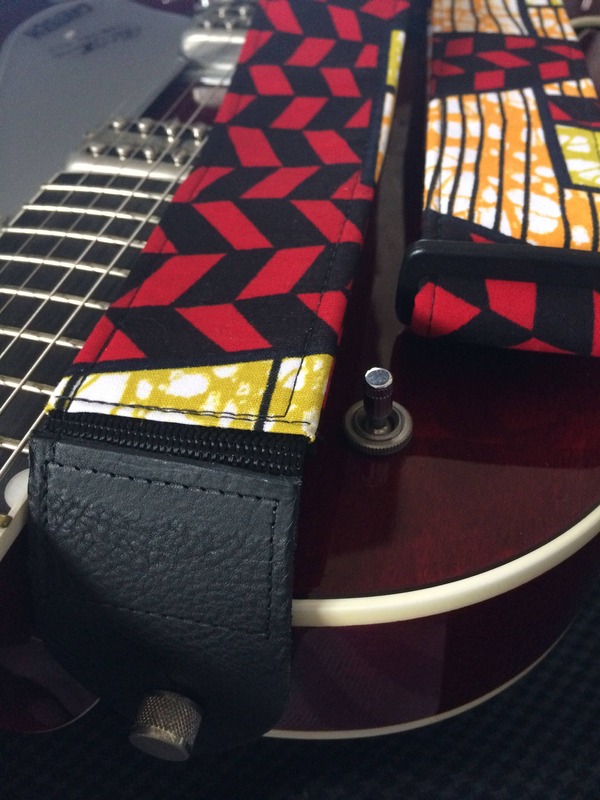 I’m so glad I could find this design, I was desperately looking for a wax guitar strap for my boyfriend. 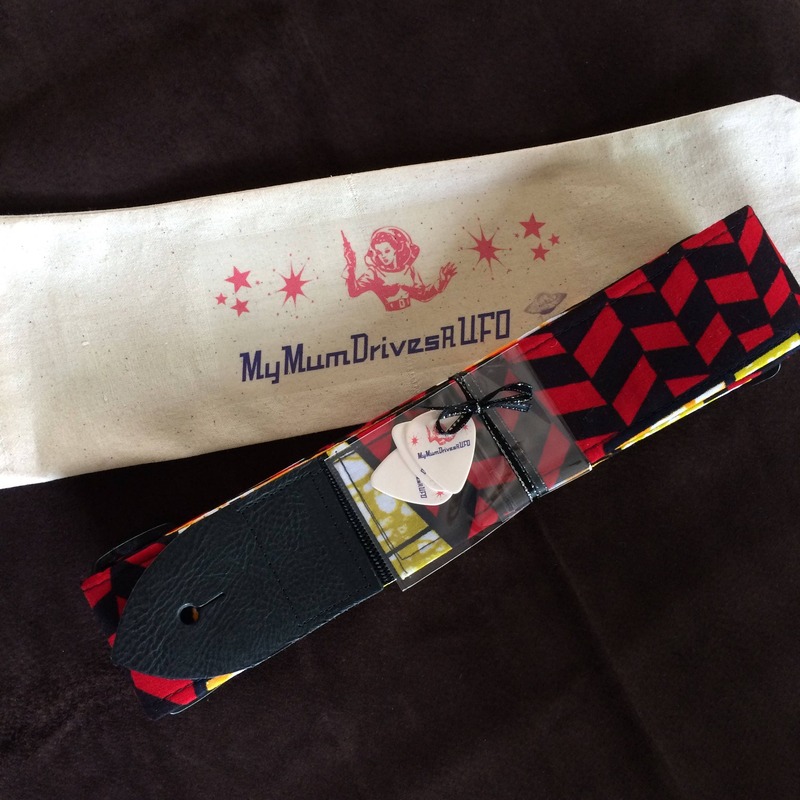 I don’t know what he’s going to think because I still haven’t given him, as it is a present for our 1st anniversary. 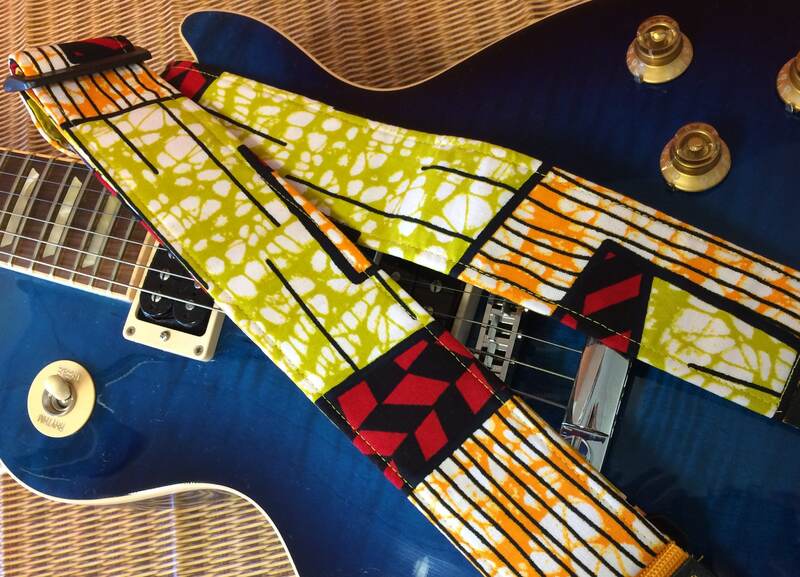 Anyhow, I just love it !